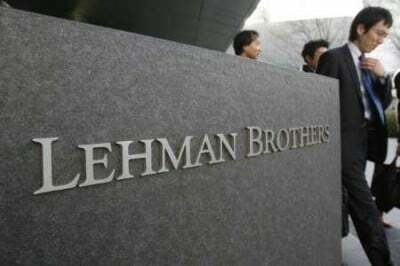 On this day in September 2008, the collapse of the US investment bank Lehman Brothers sparked the greatest financial crisis since the Great Depression of the 1930s. Within days of the bankruptcy, the entire American and global financial system was on the point of disintegration. That analysis has been entirely confirmed. Six years on, the world economy has not only failed to recover, it is experiencing continued stagnation, with the ever-growing threat of a new financial crisis. In the euro zone, economic output has yet to reach the levels it attained in 2007; Japan stands once again on the brink of recession; and Chinese economic expansion is faltering. The growth rate in the US economy is now 16 percent below that of 2005–2007, with cumulative output losses totalling about 80 percent of gross domestic product. But despite stagnation in the real economy, stock markets have hit record highs, boosted by the provision of ultra-cheap cash from the US Federal Reserve and other central banks to the financial institutions and banks responsible for the crisis—a continuation of the policy initiated in the immediate aftermath of the Lehman collapse. The financial crisis revealed a level of lawlessness on an unprecedented scale, as major finance houses and banks sold complex financial products they knew were doomed to fail and then profited on the outcome. Facts and figures produced in a US Senate report in 2011 revealed that these were nothing short of criminal operations. But not a single top executive of a major US or international bank has been prosecuted, let alone jailed. The attorney general in the Obama administration, Eric Holder, has specifically ruled out any prosecution on the grounds it could jeopardise the US and possibly the global banking system. In other words, finance capital and its speculative and parasitic activities are a law unto themselves. This culture of criminality and illegality in finance finds its expression in politics: the illegal drone operations and assassinations carried out by the Obama administration, including of American citizens; the mass spying by the National Security Agency (NSA) and its equivalents around the world; and the strengthening of the apparatus of a police state. The ongoing breakdown of the global economy underlies the growth of militarism, which is creating the conditions for the eruption of a new world war. Here the first place is occupied by the United States. The economic problems and contradictions of American capitalism, so graphically revealed in the collapse of 2008, have only increased since then. This is the economic impetus for war, as US imperialism seeks to use its military might to reverse its economic decline and assert its global hegemony. While the connections between economic trends and political developments are never direct and immediate, but always complex, there is nonetheless a profound significance to the fact that this year, one of deepening economic malaise, both the German and Japanese governments have broken with the post-World War II geo-political framework. The German ruling elite, powerful sections of the mass media, and the foreign policy establishment are conducting a campaign to assert Germany’s role not only as the dominant power within Europe, but as a world power—a return to Hitler’s agenda of the 1930s. Likewise, the right-wing nationalist government of Shinzo Abe in Japan has “reinterpreted” the country’s constitution to allow Japan to play an international military role. The significance of these events, in which three of the major imperialist combatants of World War II are asserting their global role, is unmistakeable. Six years into the global economic breakdown, the major powers, facing contracting markets and stagnant or negative growth, are determined to fight for their interests by military means. The drive to war is accompanied by militarism at home. The ruling classes everywhere know they have no economic solution to the ongoing crisis of the profit system. Living in fear of a coming social explosion, the ruling classes everywhere are organising their repressive apparatuses. The police-military operation in Ferguson, Missouri was by no means a purely American phenomenon, but reflected the preparations being made in every country to confront the social consequences of another financial crisis, the conditions for which are well advanced. On Sunday, the Bank for International Settlements (BIS), sometimes known as the central bankers’ bank, warned in its quarterly review that the present lack of volatility in global financial markets was not a sign of strength, but rather a herald of new dangers. Six years on, the fight for this perspective has become even more urgent as large sections of the working class, in the US and around the world, have either been impoverished or seen their living standards slashed, and a generation of workers, students and youth that has come of age since then faces a future under capitalism of poverty and war.